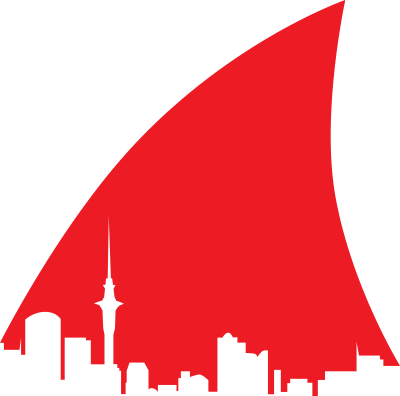 When Ghost Shark returns to terrorize Auckland, Mayor Broody calls in an expert ghost shark hunter to protect the citizens and finally defeat the creature. TRT: 70 minutes. Nine years after the events of GHOST SHARK 1: PORT MASSACRE, Jack Broody is the mayor of Auckland, New Zealand, and former Lieutenant Commander Tony Palantine is down and out on the streets. The mayoral electoral campaign is underway and Broody is down in the polls, with newcomer Marco Guerra winning the hearts and votes of the public. With the election fast approaching and Ghost Shark taking more souls by the day, can Broody and Logan save both the mayoralty and the city? In July 2009, filmmakers Andrew Todd and Johnny Hall went on a road trip from their hometown of Christchurch, New Zealand to chilly Dunedin, to attend a festival screening of Lars Von Trier's ANTICHRIST. Along the way, they stopped in the charming town of Oamaru, and it was there - with its spooky, ancient coastal buildings - that the idea for GHOST SHARK was born. One year later, Hall and Todd found themselves travelling to another festival screening. This time, the film was Gaspar Noe's ENTER THE VOID, and the festival was in Auckland. Having a weekend up their sleeves, they decided to shoot a fake trailer - and why not make it the trailer for GHOST SHARK? 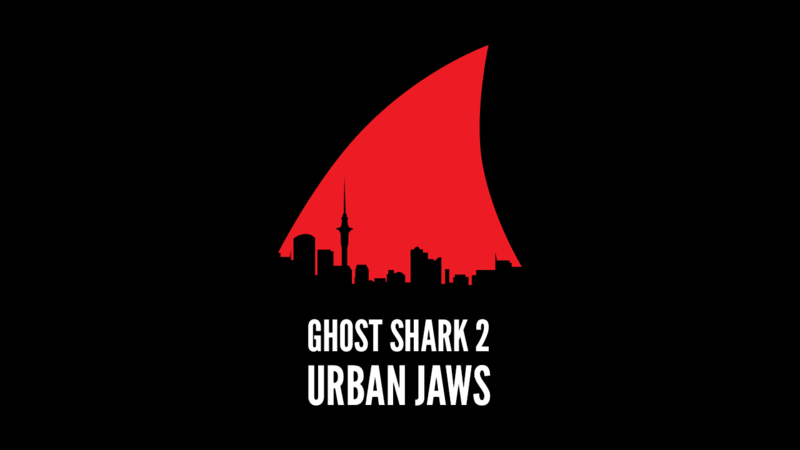 The big-city location prompted them to take it up a level, so the finished trailer was labelled GHOST SHARK 2: URBAN JAWS. Soon after release, the trailer garnered thousands of hits and attention from websites such as io9, cinefantastique, Premiere.fr, and /film - and many people asked, "when can we see the whole movie?" It was then that Hall and Todd decided to bowl headlong into writing and directing a full-length feature film of GHOST SHARK 2. Setting a new bar for high-speed guerilla filmmaking, the pair pounded out four drafts of a screenplay in two months, all the while casting, location scouting, and planning for a shoot to take place in Auckland, a city they didn't live in. The pair then returned to Christchurch, where they are shot the final thirty percent of the film and got stuck in to post-production. As of 2015, after three years of on-again, off-again work, Johnny and Andrew have finally finished. 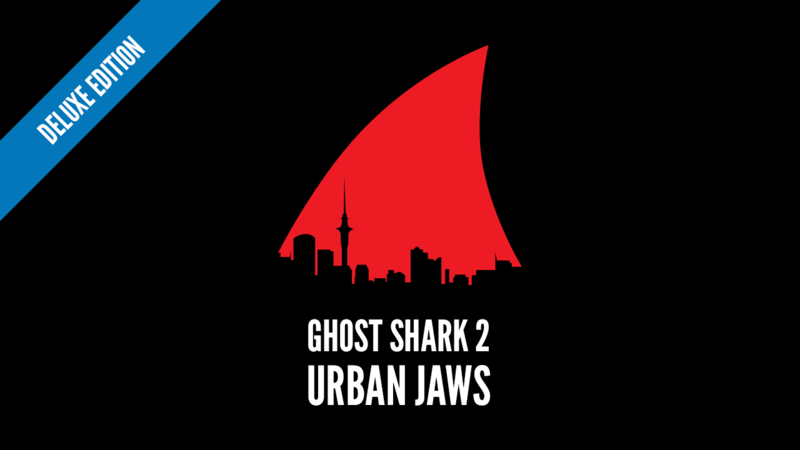 GHOST SHARK 2: URBAN JAWS will be available July 1, 2015. Campbell Cooley has worked professionally in film and TV since 1998. His background as a classically trained theatre actor has conditioned him to seek out diverse types of productions and roles to polish his craft. In addition to being an experienced comedian and voice artist, he has also directed several award-winning short films. Steve Austin is an actor, director, critic, sometime producer who has been working in performing arts in New Zealand for over twenty years. He originally trained as a theatre practitioner, before branching out into film (and a little TV). Steve is an avid movie geek and formerly one of the mad brains behind 48HOURS Furious Filmmaking. This is his feature film debut. Having played a myriad of bizarre creatures, demons, trolls and deviants, Roberto was really pleased with the chance of playing a somewhat normal guy. Marco Guerra turned out to be an ambitious young politician with a soft heart for his family. Watching this project come to life has been an immense pleasure, with great admiration for the passion Andrew and Johnny showed daily, taking guerilla film-making to the next level. Kathleen Burns works full-time in the performing arts industry as a theatre actress, singer and improvisor. Her formal training includes a Bachelor of Performing Arts majoring in musical theatre as well as having also studied with many comedians and actors from around the world. Recent screen work includes the short films MIDNIGHT CLIMAX and I AM SINGLE. She makes her feature debut in GHOST SHARK 2. Andrew Todd is a writer for Birth.Movies.Death., among other websites, and works in professional theatre as an improviser and audio/visual designer. His screen credits include New Zealand soap opera SHORTLAND STREET and several award-winning shorts in the 48HOURS Furious Filmmaking competition, for which he is now a regional manager. GHOST SHARK 2 is his feature debut. Johnny Hall enjoys Japanese food and making movies. His screen credits include the spontaneously shot DRINKO series, and a collection of weird and wonderful shorts that have screened in both local and international festivals. Recently, he created a series of anti-cell phone PSAs for The Lyric Theatre in Blacksburg, VA (where he lives with his lovely wife). GHOST SHARK 2 is his feature debut as an actor and director. As a co-founder of Hybrid Motion Pictures, Alastair has produced and directed short films, music videos and internet virals. He is also known as a fast and talented online editor with an up-to-date knowledge of technical workflow and a strong creative eye. Having spent stints with well known New Zealand film industry power-houses Weta Digital, Eyeworks Touchdown, The Gibson Group and Images&Sound, Alastair has worked on everything from feature films to TV drama, documentaries, reality programming and commercials.